At long last, winter is here and Game of Thrones fans will see HBO's song of ice and fire come to its conclusion sooner rather than later. 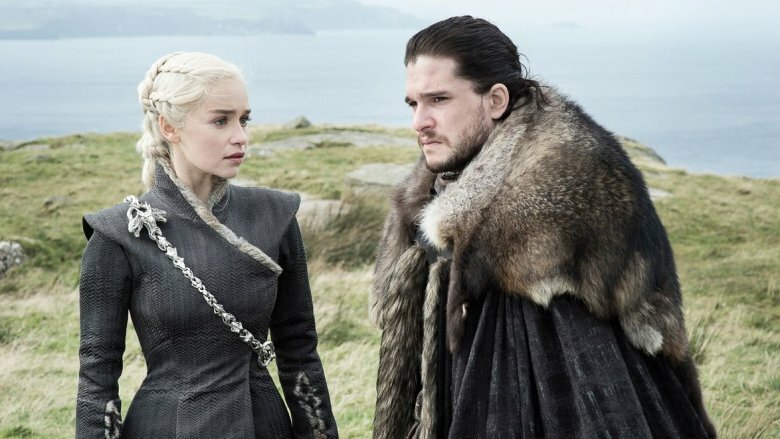 Season 8, which will be abbreviated and consist of just six movie-length episodes, will premiere on the network starting Sunday, April 14th. Though the show will continue into territory as yet uncharted by George R.R. Martin's published source material, there's already a good deal of information available about what's ahead for the fantasy epic's last stand. Thanks to the diligent fandom's set-scouting and rumor patrolling, along with tiny teasers that have been released by the network itself, we've been able to patch together quite a few clues about what's ahead for the heroes (and villains) of Westeros. So, let's take a look at everything we've learned about Game of Thrones Season 8 so far, whether it be rumors, spoilers, or those predictions we can infer from official detail drops. Naturally, spoilers abound. For the watch. Thanks to the first-look set report from Entertainment Weekly, we now know exactly how Game of Thrones' first new episode will begin. The season will kick off in Winterfell as Daenerys Targaryen drives her forces to the North to help Jon Snow and his allies prepare for battle against the Night King's army. The setup is expected to resemble the pilot episode's big arrival of Robert Baratheon and will usher in some interesting reunions between various characters. At least one person will not be delighted at the new arrival, as Sansa Stark will reportedly not be pleased by Jon's decision to "bend the knee" in allegiance to Daenerys, but considering what they're all up against, she might just have to get over it. Executive producer Bryan Cogman told the magazine, "It's about all of these disparate characters coming together to face a common enemy, dealing with their own past, and defining the person they want to be in the face of certain death. It's an incredibly emotional, haunting, bittersweet final season, and I think it honors very much what George [R.R. Martin] set out to do — which is flipping this kind of story on its head." 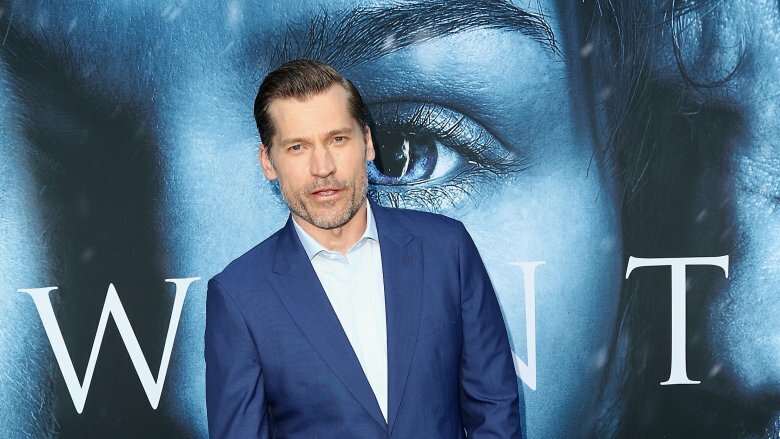 In addition to Daenerys' journey to the North, Jaime Lannister is also expected to be heading in that direction — although Nikolaj Coster-Waldau couldn't guarantee he'll make it all the way. 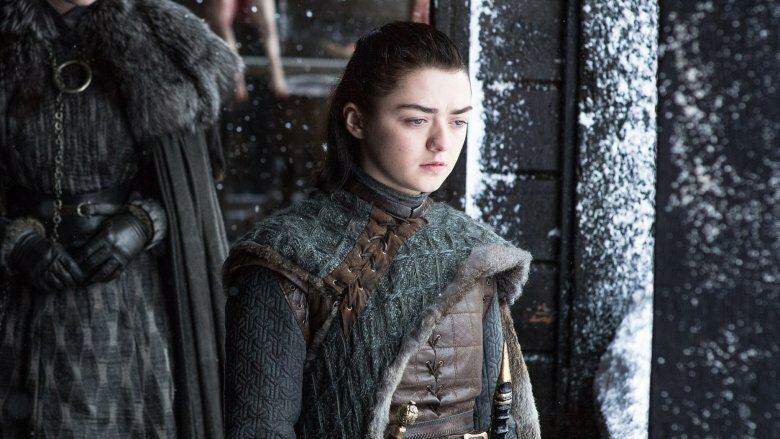 Maisie Williams had Game of Thrones fans in a tizzy when she posted an image of some bloodied sneakers after filming her final scene of the series because many took it to mean she'd either finish off her kill list or be killed in the process of whatever she was doing, but she's since clarified that her last scene didn't involve anyone else. "[It was] beautiful. I ended on the perfect scene. I was alone — shocker! Arya's always bloody alone," she explained to The Guardian. However, Williams also assured fans that she and Needle will have plenty of screen time leading up to that point this season. "This season was quite big for me. I had a lot more to do," she explained. "Mainly because there's just less characters now, so everyone's got more to do." It's worth noting that Williams' last scene was shot in Belfast, which is known to be the site where scenes from Winterfell and the North are produced, so her return home will probably prove to be even more eventful than it already has been. Of course, other cast members have confirmed that the last season wasn't necessarily filmed in chronological order, so it's not a sure thing that Arya will end, one way or the other, beneath the sign of the Stark sigil. Sophie Turner also had loose lips in an interview with Digital Spy. When we first catch up with the Lady of Winterfell in season 8, she's going to be ruling the roost at Winterfell while Jon is away. "She's a real, true leader of Winterfell now," Turner said, "And that's where we first see her — as a very protective, empowered lady in charge. It's the first time you ever see her like that, and it's so amazing to see her like that — kind of owning her destiny." 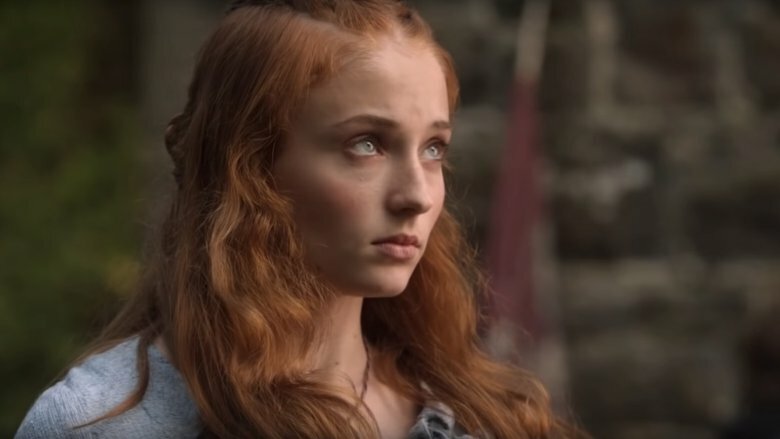 Nearly all the characters in Game of Thrones have grown exponentially from where they started in season 1, but Sansa's transformation from the spoiled, innocent girl in the beginning to the hardened pillar of strength she's become by season 8 is perhaps the most astonishing of all. Turner described this new version of Sansa to Digital Spy as a "steely, strong, manipulative, intelligent, kind, young woman, and it's completely the opposite of who she was at the beginning of the series." Will Sansa bend the knee? Viewers of the 76th Golden Globe Awards were treated to a brief but powerful new teaser for Game of Thrones' upcoming season. Although it was a blink-and-you'll-miss-it reel, the brief clip contained a pretty big clue as to what lies ahead for the show. In the eight-second piece of footage, which launched alongside a bevy of other HBO teaser samples, Sansa is shown coming face to face with the Mother of Dragons at long last. 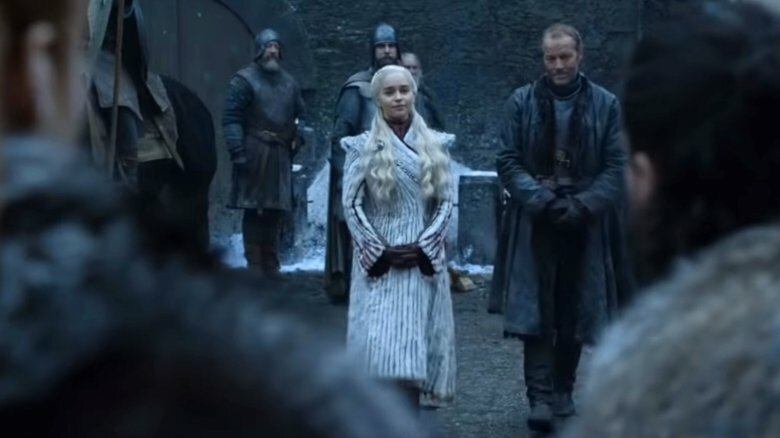 The clip is set in Winterfell, as Daenerys approaches with Jorah Mormont dutifully at her flank, per usual. Judging by her white fur coat, not much time has passed since she sprung Jon from certain death North of the Wall. She's shown being greeted by Sansa, who tells her with a thin grin, "Winterfell is yours, Your Grace." Daenerys looks truly pleased by the offering, but both Jon Snow and Brienne of Tarth look on with visible apprehension. It's hard to tell whether Sansa's gesture is authentic or if she's become as cunning as her late ear-whisperer Littlefinger a.k.a. Petyr Baelish, but in either case, it's clear the Lady of Winterfell is going to cede some power to Daenerys Targaryen for one reason or another — a surprising development given how reluctant she was to let Jon flit off to Dragonstone and buddy up with Daenerys in the first place. 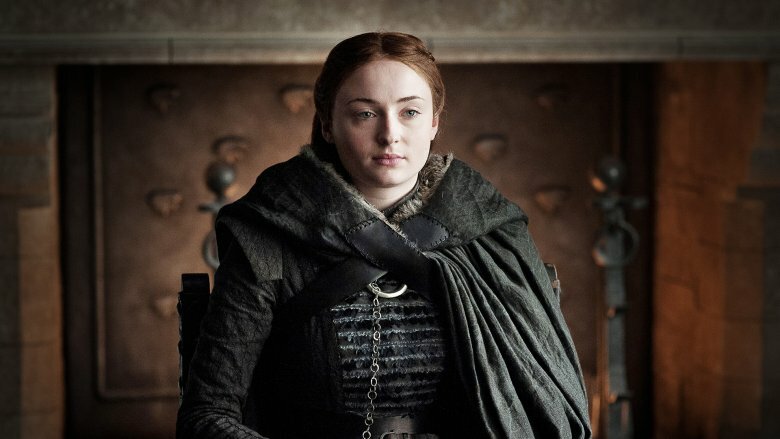 In another interview with Digital Spy, Sophie Turner mentioned that unlike her onscreen sis Maisie Williams, who wrapped shooting in Belfast, she wrapped shooting in Spain — where Dragonstone and the Dragonpit are filmed, which means that although Sansa might be running Winterfell at the start of the season, she's going to wind up heading south at some point. This news feeds into the abundance of rumors that Sansa is going to come away the ultimate winner of the Game of Thrones, possibly sitting on the Iron Throne — or the Stone Throne — as the last player standing. Some fans theorize she might wind up marrying Gendry and become the Queen of the Seven Kingdoms. Marrying Gendry could give Sansa a more legitimate claim to the Iron Throne, since at the moment, she doesn't have a very strong one (or any at all, depending on how you look at it). Even if she doesn't sit on that uncomfortable chair, it does seem likely that she's going to wind up in a position of power and influence. 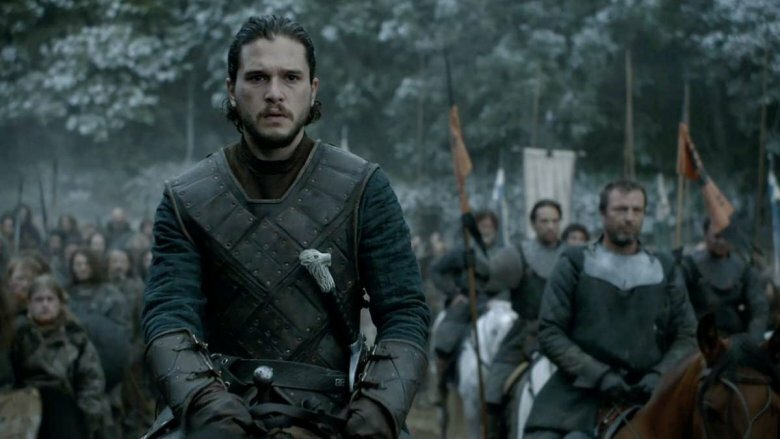 Game of Thrones fans might have suspected it all along, but it took seven whole seasons for Jon Snow's true identity to be revealed as Aegon Targaryen, the son of Lyanna Stark and Rhaegar Targaryen. 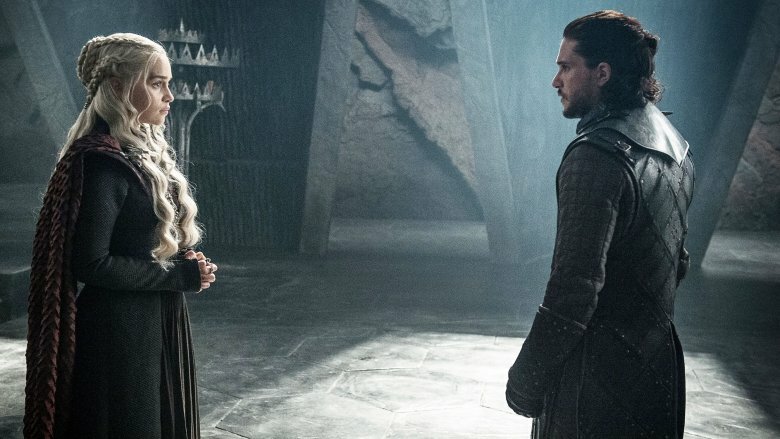 With Rhaegar announced as his true biological father in Bran's flashback, Jon's tryst with Daenerys got weird very quickly, since that makes her his aunt by blood. 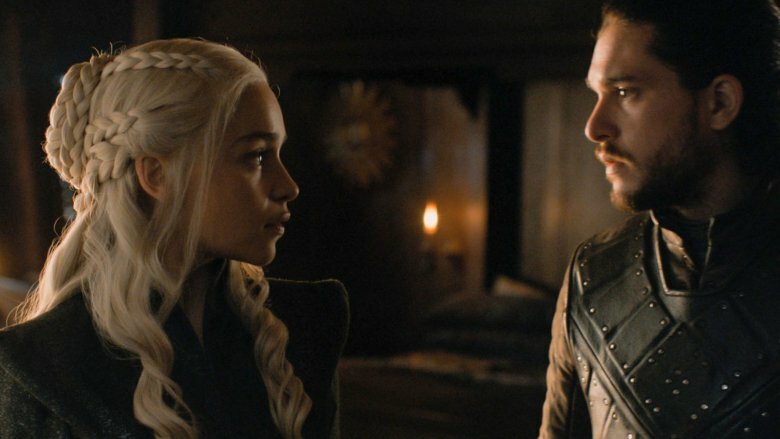 Game of Thrones has done incestual love affairs before — see Jaime and Cersei Lannister — but never with heroes like these two. According to a new cast and creator interview with TV Guide Magazine (via TV Insider), that is bound to have consequences in the show's final season as the two find out about their shared family history. Co-executive producer D.B. Weiss said, "The story is no longer about who Jon's parents are. It's about what happens when Jon finds out." Kit Harington himself previewed that Jon's integrity — a trait inherited from Uncle Ned, no doubt — will make it "very hard for him" to find out about Daenerys because he can't lie. 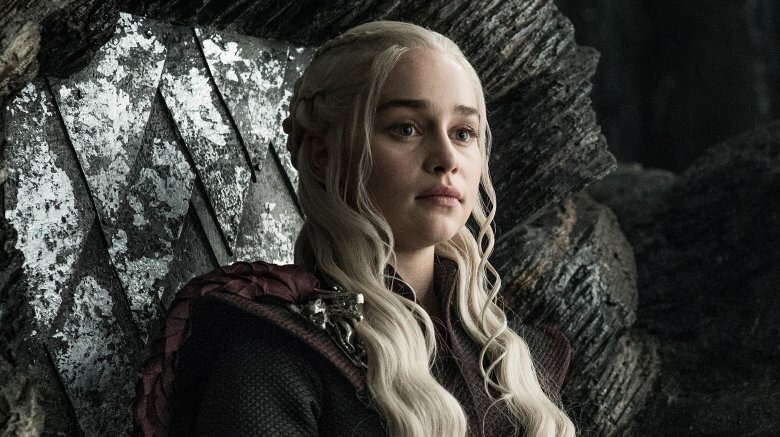 While Jon tortures himself about it, it sounds like Daenerys might see him as a new source of competition. Emilia Clarke explained, "Daenerys' lifelong dream has been to avenge her family and claim her rightful seat on the Iron Throne. She truly loves Jon. Were she to find out about his title, it would cut deep." Like a thousand swords from the Iron Throne perhaps? Dun dun dun! One of the highlights of season 7 was watching new pairs of characters meet and interact for the first time — and it sounds like more is on the horizon in season 8. In an interview with WRadio at Bogota Comic-Con, Nikolaj Coster-Waldau revealed that he'll be interacting with Liam Cunningham (Davos) for the first time this season. Watchers on the Wall reported him as saying "I've really loved working with Liam Cunningham, who plays Davos Seaworth. We've worked together and now we get along very well. Saying more would be a spoiler." Since Davos is currently serving as Jon Snow's hand, the news of their impending interactions confirms the plan that Jaime is definitely going to make it all the way North to team up with Jon and Daenerys. What's more, it sounds like the interactions between the stiff, fingerless Onion Knight and the dashing, one-handed Kingslayer will add at least a little bit of humor into an otherwise tense season. 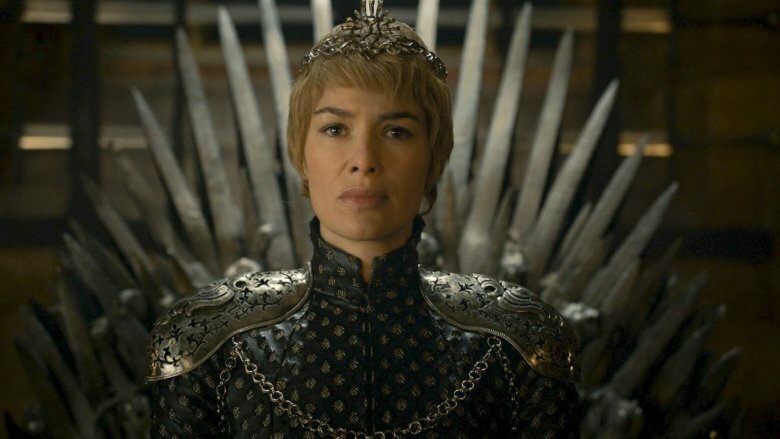 Do we know who'll kill Cersei? 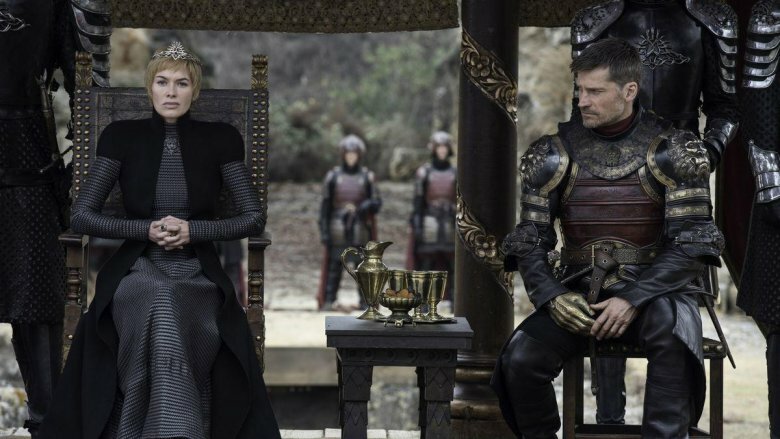 Now that Jaime Lannister is on the run from Cersei's tyranny, could he be the key to fulfilling a long-lingering prophecy about her fate? In the show's fifth season (as in George R.R. Martin's book), Cersei as a child demands to know her future from Maggy the Frog, and it's not good news. "You'll be queen for a time, then comes another, younger, more beautiful to cast you down and take all you hold dear. The king will have 20 children, and you will have three. Gold will be their crowns, gold their shrouds." At least half of that prophecy has already come true (poor Myrcella, poor Tommen) — and Daenerys Targaryen is working hard to fulfill the other side — but what we didn't hear from Maggy in the TV scene was probably even more important. "And when your tears have drowned you, the valonqar shall wrap his hands about your pale white throat and choke the life from you," the prophecy continues in the book. The term "valonqar" means "little brother" in Valyrian, and technically, Cersei is the elder twin, so Jaime could fit that bill. Of course, Tyrion is also a likely candidate, considering he's already shown his willingness to kill off a family member and has a long history of animosity with his sister. Yet, there are some who believe the introduction of her pregnancy in season 7 might leave open door number three. If she dies in childbirth, with a boy, it may also fulfill that prophecy. Will Daenerys have a baby too? There were a lot of discussions about Daenerys' fertility — or lack thereof — in the most recent season of Game of Thrones, and since the show mostly abides by the Chekhov's Gun concept of storytelling, there has to be a reason for it. Daenerys believes the witch who cursed Khal Drogo foretold her inability to ever conceive. In the books, the witch says Khal will only be himself again "when the sun rises in the west and sets in the east [... and] when [her] womb quickens again" to show the impossibility of it all. That section of the prophecy didn't make it into the show, but Daenerys later pointed to the witch as promising she wouldn't have children. Game of Thrones has deviated from the text in many ways before, so there are rumors floating around the fan community that Daenerys will defy her own expectations and become pregnant in the new season. The question that remains is if her child would be the fabled "prince who was promised" that we've been waiting for all show long. Very few characters have made such an impression from their first scene as the one left by the tiny, ferocious Lady Lyanna Mormont: the internet buzzed with admiration for the pint-sized clan leader when she debuted in season 6. 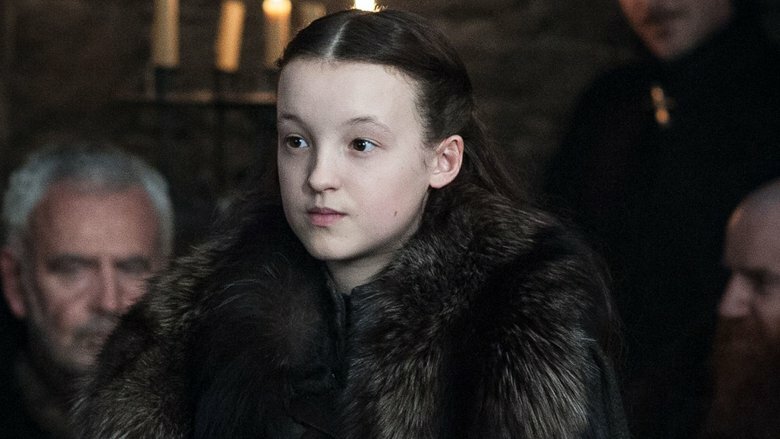 Played by Bella Ramsey, now 14 years old, the little Lady of Bear Island was instrumental in instating Jon Snow as King in the North. According to the Watchers on the Wall, Ramsey was spotted on set in Belfast, implying that she's still involved in the game. However, will she be withdrawing her support once she learns that her King has bent the knee to a foreign queen? A foreign queen who is advised by her exiled uncle, no less? That doesn't sound like the kind of decision that would go over well with the proud folks of Bear Island. Fingers crossed there will be at least one interaction between Jorah and his fierce young relative. If the meeting goes badly, though, our money is on Lyanna. 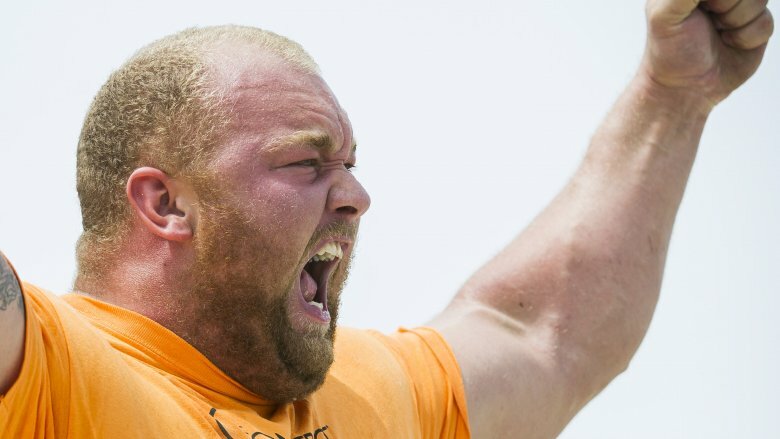 Interviewed in January 2018, Hafþór Júlíus Björnsson, who plays Ser Gregor "the Mountain" Clegane, wasn't all that forthcoming with news about his plans for filming Game of Thrones season 8. This led fans to speculate over whether this meant Björnsson wouldn't be on set for long. Will the Mountain finally fall to his brother in the long-awaited Clegane Bowl battle fans have been clamoring for? Or maybe Arya will finally manage to cross his name off her list? Or perhaps Ser Gregor will fall and be reanimated — again! — at the icy hands of the Night King? When talking about his role on the upcoming season, Björnsson remained frustratingly cryptic, albeit enthusiastic — simply promising "It is going to be awesome!" He wouldn't say anything about Clegane Bowl, either. When asked if he'd feature prominently in the upcoming season, all Björnsson added was, "I certainly hope so!" Jon Snow's devoted direwolf Ghost didn't get much love at all in Game of Thrones' seventh season, as he was left behind in Winterfell for all of his master's many trips to Dragonstone, beyond the wall at Eastwatch, and King's Landing. 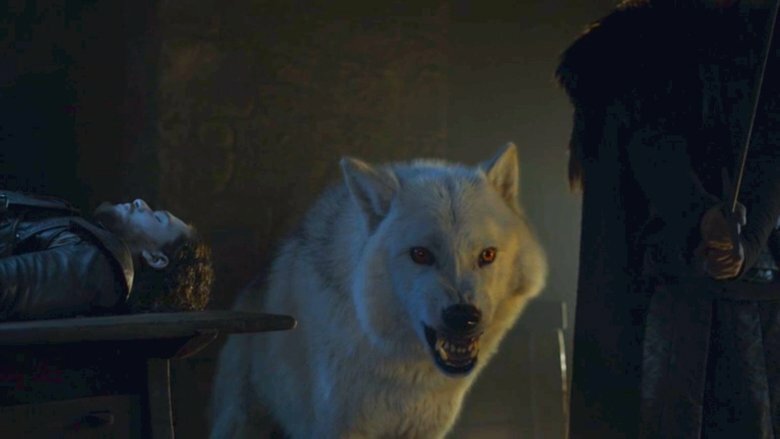 That left room in the special effects budget for his sister Nymeria to finally get a chance to reconnect with her human pal Arya, but while it's unclear whether Nymeria's time on the show is done, Ghost's is most certainly not, and fans can expect to see their favorite four-legged friend return in season 8. "Oh, you'll see him again. He has a fair amount of screen time in season 8," visual effects supervisor Joe Bauer explained to Huffington Post. "Ghost does show up, and he does some… he's very present and does some pretty cool things in season 8." Whether that means he'll join Jon Snow on the battlefield against White Walkers remains to be seen — as does the direwolf's reaction to seeing much larger mythical creatures hanging around if and when Daenerys' dragons come into town. A new monarch joining the fold? It might seem like all of the character pieces are already on the board by now, but there may be reason to believe that at least one new royal will join the game before it's all said and done. According to the sleuth work at WinterIsComing, it looks like actor Toby Osmond has indicated his involvement with Game of Thrones' final season on his CV by boasting a "great royal role in the next (and final) series of an epic network fantasy saga (airing Spring 2019)." He might not have named the show outright, but the description is certainly detailed enough to discern. Coupling that with the fact that he was spotted hanging out with certain cast members and crew near the Seville set of the show (that is, the Dragonpit epicenter), his involvement seems likely. As for who he'll portray in the scene? Well, rumor has it there are two new characters that are expected to be introduced — a man wearing golden armor and another mystery man. The former could be that representative of the Golden Company Cersei sent Euron Greyjoy for last season, but that role, Harry Strickland, is rumored to belong to Marc Rissmann. Some suspect Osmond may instead by playing the new King of Dorne following the Martells' demise, but others believe he may play Euron's personal nemesis from the books: his younger brother Victarion Greyjoy, who has a terrible score to settle with the swashbuckler. Is Bran going to be the Night King at last? In January, HBO released a new teaser for Game of Thrones Season 8 that features Jon Snow, Sansa Stark, and Arya Stark all convening in the Stark family crypt. There are some sights and sounds that are familiar there: statues of Ned and Catelyn Stark gathering dust, the shrine to Aunt Lyanna along with the feather dropped there by Robert Baratheon, and the voiceover of Catelyn herself lamenting, "All this horror that's come to my family… it's all because I couldn't love a motherless child." New to the scene is a trio of statues that represent the Stark siblings/cousins themselves in the alcove. If that image isn't ominous enough, it looks like Jon is the only one who has aged in these depictions, so fans immediately perceived these visages as a threat to the ladies of Winterfell. Perhaps more importantly, Bran Stark isn't there with his family. His handicap has certainly never stopped him from going places before, so it can't be an access issue which is keeping him at bay. 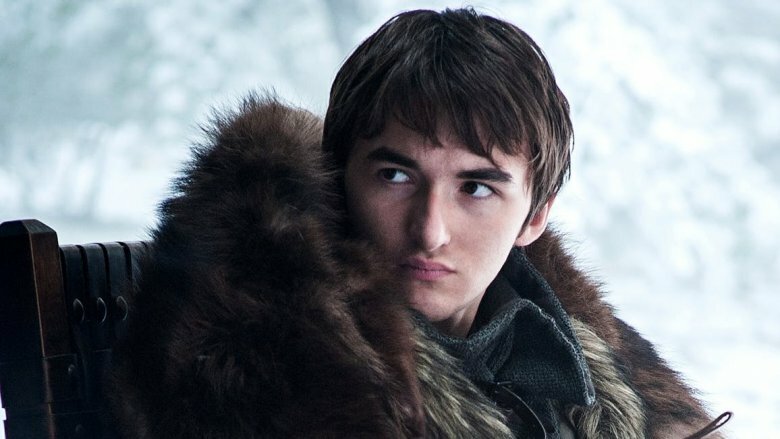 Instead, his absence from the teaser may be a bit of an official wink to the long-held fan theory that Bran Stark will become the Night King during one of his wargs back in time. The idea is that, since Bran has been able to affect certain aspects of history in the past — see also: Hodor — he may inadvertently be the one to cause the ice zombie's ascent in the first place. 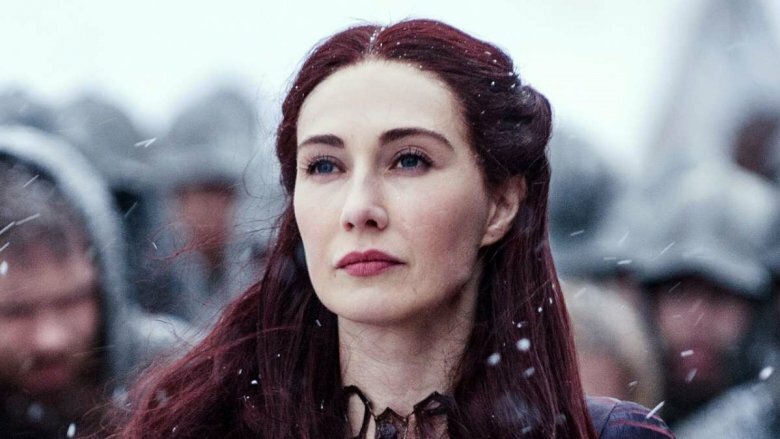 Although she's currently persona non grata with Jon Snow and the rest of the north, Melisandre isn't done with her work for the Lord of Light just yet. As she told Varys in the most recent season, she is heading off to Volantis but intends to die in Westeros, saying, 'I will return, dear Spider, one last time. I have to die in this strange country, just like you." Some fans theorize that the reason the Red Woman is headed off to the free city is to earn a bit of redemption. If she is able to recruit the Fiery Hand, the 1,000 soldiers who guard the city and follow the teachings of the Lord of Light, they may prove to be invaluable to the battle. Were she to come in and help Jon Snow and Daenerys fight the Night King's army in their hour of need, she might be invited to remain without fear of being persecuted for her past actions (namely, burning Shireen at the stake on a false promise) and die on Westerosian soil as she intends to. Is Tyrion headed for an unhappy ending? Tyrion Lannister (Peter Dinklage) has been all over the map, quite literally, throughout Game of Thrones, and even at the end of season 7 it's hard to know where his true allegiance lies. As Hand of the Queen for Daenerys Targaryen, he seems sure he wants to see the more merciful monarch ascend the throne in his sister's place, but when he finds out about Cersei's pregnancy, he doesn't appear so convinced. "He certainly developed a deeper sense of responsibility over the course of the show. He was a pretty irresponsible character to begin with. He used his position as the outcast of his family like an adolescent would. He pushed it in their [the Lannisters'] faces. 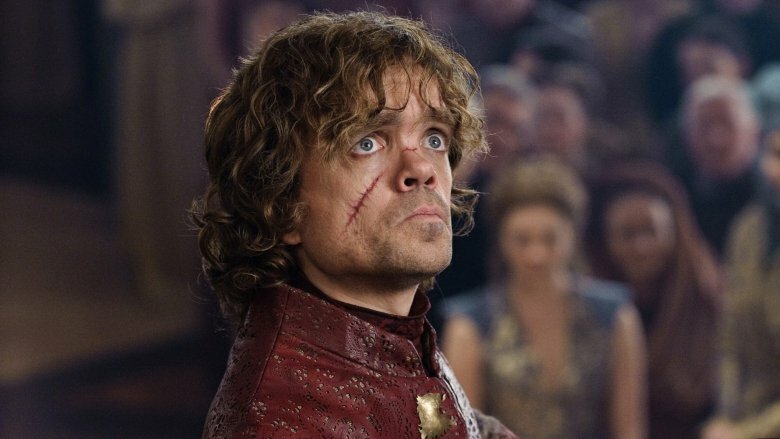 The beauty of Tyrion is that he grew out of that mode in a couple of seasons and developed a strong sense of responsibility," Dinklage explained to Vulture of his character's development. Whether that means he'll jump ship yet again is still unknown, but Dinklage did leave open the possibility that he'll pay the ultimate price for whatever decision he makes in the final season. "I feel very, very — I'm trying to find the right word. I think he was given a very good conclusion. No matter what that is — death can be a great way out," he said of the character's ultimate ending. Get ready to spend more time in the ancestral home of Balerion the Dread: Rumor has it that the major players will all be meeting once again in the Dragonpit in season 8 — and for much longer this time, too. Watchers on the Wall reports that filming at the Roman ruins of Itálica in Seville, Spain (a.k.a. the Dragonpit) were scheduled from April 23 to May 19, 2018. That's nearly four weeks, which is quadruple the time spent filming there for season 7. Whether the scene is long or just more action-packed, get ready for it to be substantially bigger and better than last time. What's more, there were no additional casting calls for extras, which means it's probably safe to assume that this particular scene will once again feature only the main characters we already know. 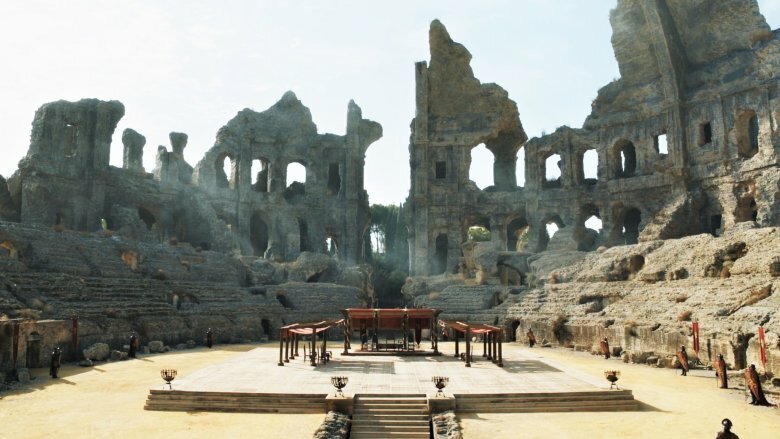 And if Sophie Turner's talk of filming in Spain is a clue, then maybe Sansa will get to say her piece at the Dragonpit, too. A Twitter user snapped some pics at the Red Keep set at King's Landing, capturing the Lannister banners flying high despite the fact that the top of the Keep looked like it had been cooked to a crisp. Based on even more photos posted by Watchers on the Wall, the top of the city is clearly charred, and cranes are visible all around for getting plenty of aerial shots of the destruction. After all this time, it looks like King's Landing may have finally fallen. Does this really come as a shock? With Cersei stubbornly refusing to bend the knee, or even just bend a little, it kind of seemed like Daenerys would have no choice but to come for her with all that fire and blood. Granted, Tyrion did warn Dany against harming all the innocent people of King's Landing, so it seems like there either must have been some pretty major extenuating circumstances, or Mad Queen Dany just decided not to care. Either way, the city is getting burned. Get ready to say goodbye to at least some of your favorites. Season 7 may have been kind of light when it came to the shocking murders (no offense, Baelish and Viserion), but it sounds like the show's creators held nothing back when it came to the last hurrah. 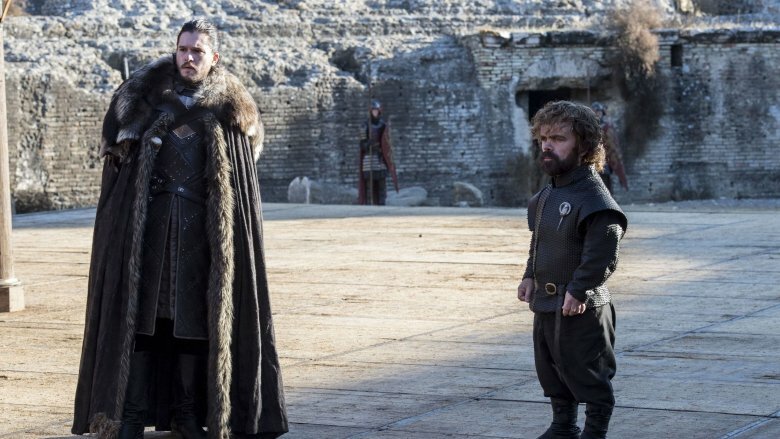 In an interview with the Hollywood Reporter, HBO senior VP Francesca Orsi explained that the final moments of Game of Thrones are going to spell doom for multiple characters. Talking about the final table read with the entire cast, she called it "a really powerful moment in our lives and our careers" and added, "None of the cast had received the scripts prior, and one by one they started to fall down to their deaths. By the end, the last few words on the final script, the tears just started falling down. Then there was applause that lasted 15 minutes." Well, they did warn us that when you play the game of thrones, you win or you die. Mostly, you die. 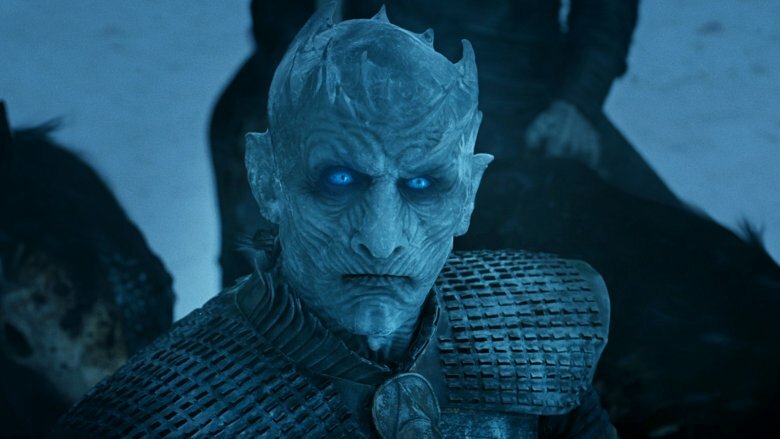 It's probably not much of a spoiler to say that the humans in Game of Thrones will soon do battle with the White Walkers because that's an inevitability that's been building all series long. However, what is newsworthy is the fact that said battle is expected to take place at Winterfell and has been helmed by "Battle of the Bastards" director Miguel Sapochnik, with 55 days spent on the shoot's outdoor portions alone and much more filmed in-studio. What's more is fans can expect it to be about much more than slaying a bunch of frozen zombies. "Having the largest battle doesn't sound very exciting — it actually sounds pretty boring," co-showrunner David Benioff told Entertainment Weekly. "Part of our challenge, and really, Miguel's challenge, is how to keep that compelling… we've been building toward this since the very beginning, it's the living against the dead, and you can't do that in a 12-minute sequence." In other words, while the battle sequence is expected to be an action spectacular, the scenes will also be driven by the characters involved, paying special attention to their fights and fates amidst the massive melee. Entertainment Weekly's set visit report from the site of the final season also revealed that the call sheet had a few surprising names on it for production on the very last scene. The journalist reported seeing "characters in the finale [he] did not expect" on a set that had "never [been] seen on the show before." While the names of those who have made it to the bitter end by this account have yet to be revealed, it sounds like Kit Harington will at least be around until the end. He's mentioned as part of the last episode's table read and admits to crying when he got to the last page. "The second time [I cried] was the very end," the actor told the magazine. "Every season, you read at the end of the last script 'End of Season 1,' or 'End of Season 2.' This read 'End of Game of Thrones.'" Will the King in the North outlast everyone else? 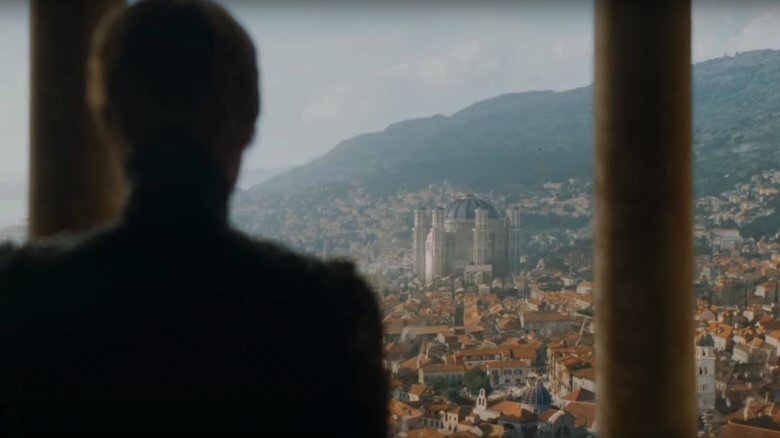 Rumors from The Dubrovnik Times, as reported by the Daily Express, indicate that the last scene of the entire series may very well take place at King's Landing. According to the Express, the scene would have been shot in January 2018. Tents in the old town of Dubrovnik are a big sign that something was being shot at King's Landing with most of the main cast. Interestingly, no additional extras were called beyond the main cast members, which is perhaps what caused sources to speculate that it was in fact the final scene. 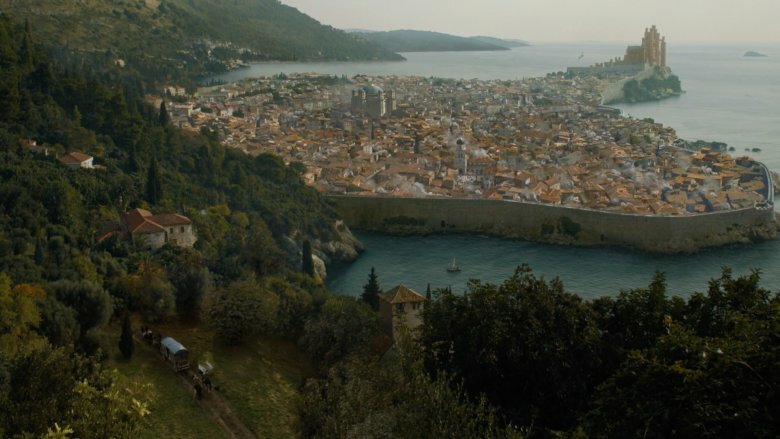 Nothing is official, of course, but wouldn't King's Landing — the infamous home of the Iron Throne — be a fitting location to end the series all about the fight for said seat of power? Plus, the news that multiple main cast members were present is a good indication that they probably don't all die in the second War for the Dawn.